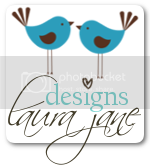 Special offer for blog readers - use discount code blog to see your 10% discount! Offer valid until 30 November. Work through the steps from 1 to 7, or tackle your problem area first. 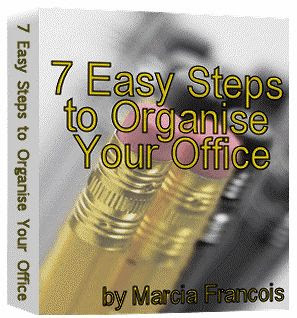 In this e-book, I show you, step-by-step, how to organise your office. The system has been tested for both a home and business office and works just as well for both. I also include plenty of worksheets and tell you exactly how to set up your Office Notebook (if you don’t already have one). Finally - an e-book that helps me organize in a way that works with my style! Marcia addresses the different learning styles and personalities with organizing tips that work for each of them. So many other organization tools focus on one "right" way or one "perfect" system to organize with but this e-book presented different strategies that work for different people. Practical, useful tips and great worksheets make it easy to apply as well. I'm already saving time and feeling more organized! I also give you a sneak peek into my own office set-up to spark your ideas. More than that however, I empower you to make your office work for you. After all, you’re the one who has to work there! Marcia, I really enjoyed the 7 Steps e-book! The comments, strategies and worksheets were really helpful and I could easily implement your ideas to fit me. I really loved the organizing personality section. I had never thought about that - I am clearly a visual learner and that made a lot of sense. Your details about handling electronic information and clutter were super helpful. I liked how you gave examples of what you do/what folders you use. That helped me think about my needs and how I could incorporate the information into my life. I love all of the planning pages you put at the end. 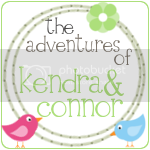 They are awesome - I printed them out and can’t wait to start using them. Thank you for putting together this e-book. I got A LOT out of it!!! And remember, you get the 14-page Christmas Planner at NO COST with every purchase of R50 or more from the store. Offer valid until 14 December.